Trim and finish work of all kinds are major elements in every room we've undertaken in our home. 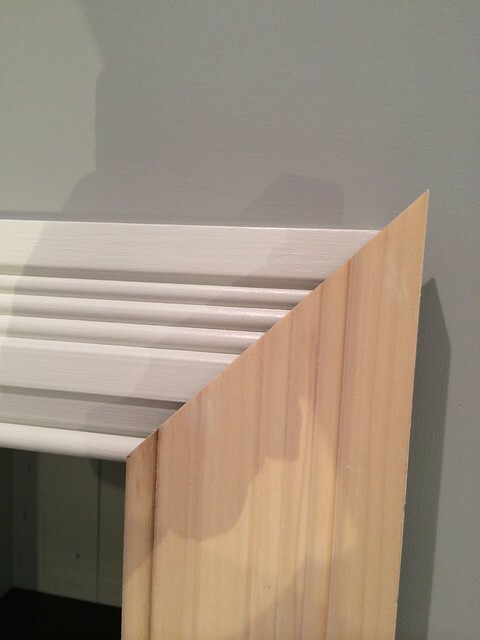 ...we understand the importance of finish moulding to ensure our completed projects look like they belong in the era and aesthetic of our home. Over the years we've gone to great lengths to ensure all of our projects have the right level of trim detail to make anything we do look like it not only belongs in our house, but has been that way for as long as the house has been there. 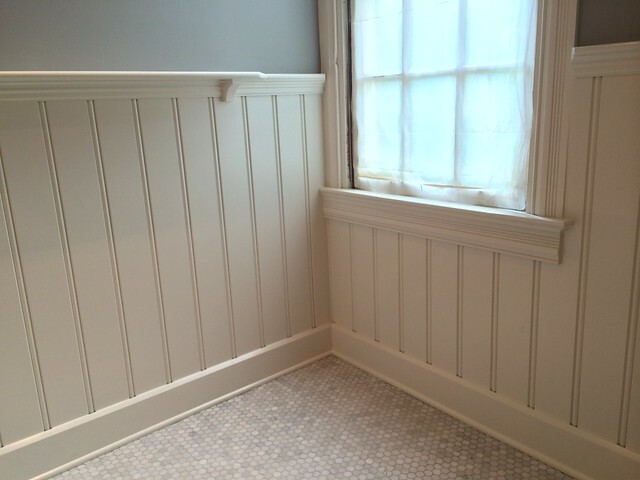 This is obviously the goal with the door and window casings we've had custom milled, or the major wainscoting elements we've added, but what about the more minor details that are often overlooked? 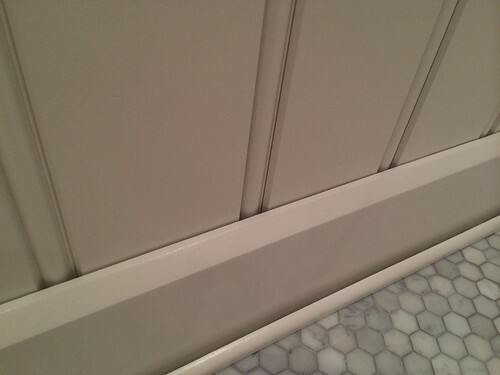 Now that our marble floor is in, grouted, cured, and sealed, we've been working on what many consider a more minor finish moulding detail in our bathroom, the baseboards. 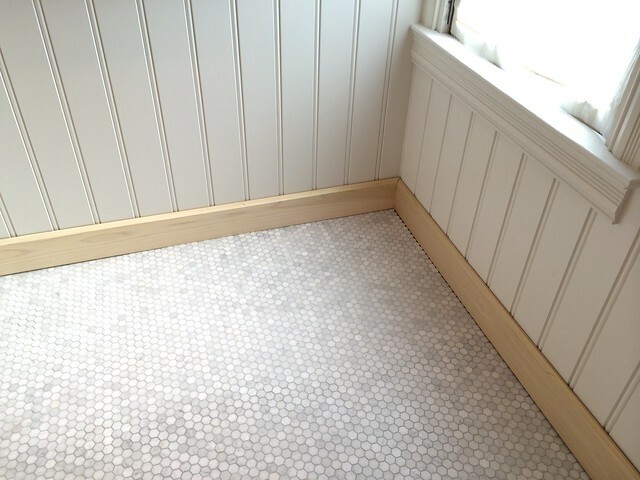 Baseboards are often an afterthought in a room's moulding selection. Since their existence relegates them to the floor, often obscured by furniture or other elements of the room, they're too often given second billing and lack the attention they deserve. 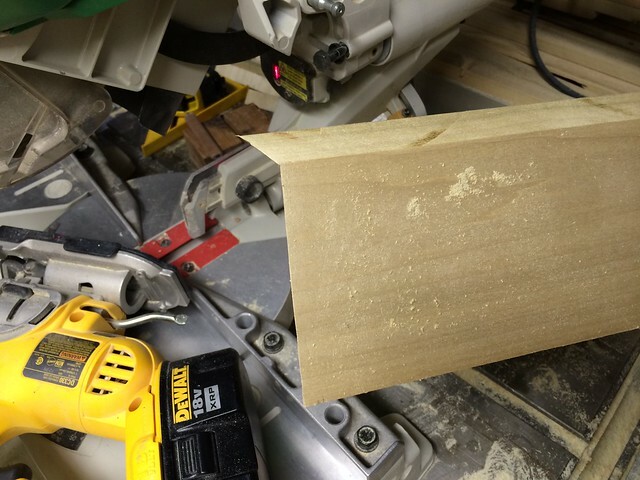 More often than not, this means a room's window and door casings, and even crown moulding is big and substantial, but the baseboards get the shaft with some small stock profile that happens to be on the shelf at the big box. 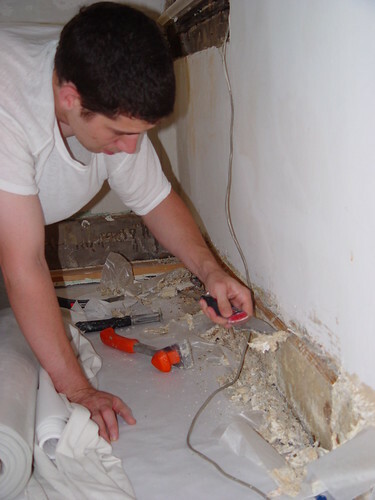 This unfortunate reality for the fate of a baseboard doesn't have to be. In fact, there are a lot of options out there, from the fabricated to the custom. Just take a look at some of the several profiles available in the baseboards section of the Mad River Woodworks catalog. And that list doesn't even cover the possibilities of using some flat stock with a base cap mounted above it. But what about our baseboards? Well, our baseboards are simple, classic, but somewhat heavy profiles that I've not seen in any millwork books or lumberyard catalogs. But that's not so much because we've search exhaustively, but more because we can custom create this profile on our own. 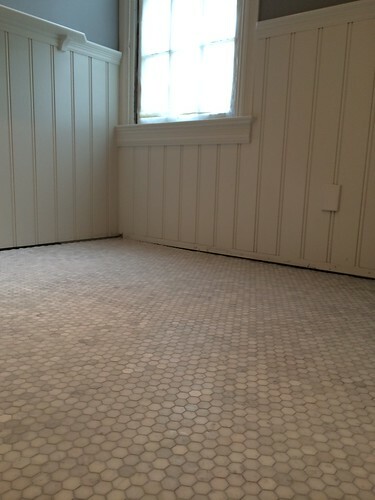 Here are our master bedroom baseboards and how they looked when we moved into the house. Lumpy, bumpy, paint covered, but original. 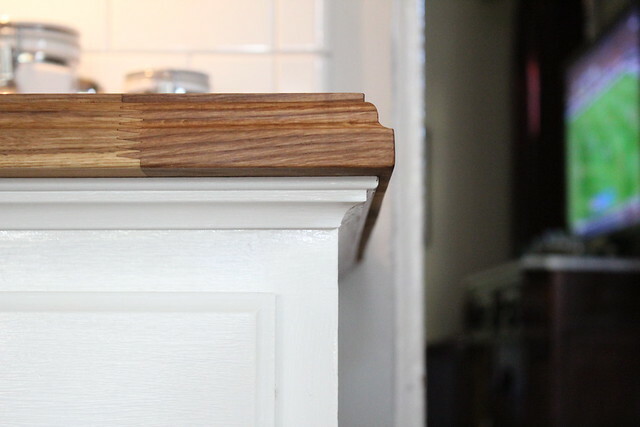 Unlike our window and door casings, where we have multiple original sizes and profiles in different portions of our house, our baseboards are consistent boards with a 50 degree angle near the top. 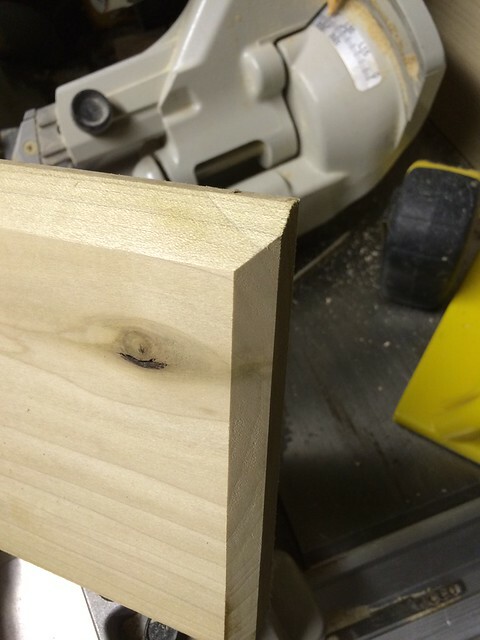 The beauty of this profile means that we can do a pretty great job of recreating the profile on our own using some stock lumber from the big box and some work on the table saw and sander. 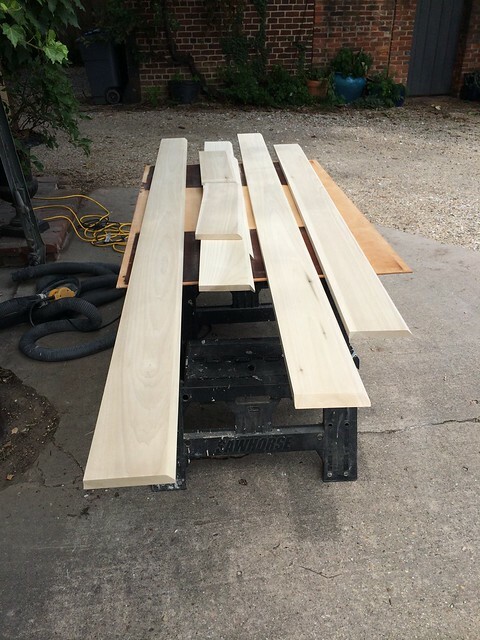 To cut our base I start with some stock eight or 10 foot lengths of 6x1 poplar and lean my table saw to its most extreme angle. Then I set my fence to take off the very top edge of the baseboard to give myself about 3/8" of horizontal return to the wall. That's all there is to cutting our baseboard. Of all of the complicated and difficult items we've had to deal with in our home, we really lucked out with a classic but simple baseboard that we could easily recreate. The original is likely full 1" stock, but that's not necessary now that we're not plastering over the top of the baseboards. Easy peasy. 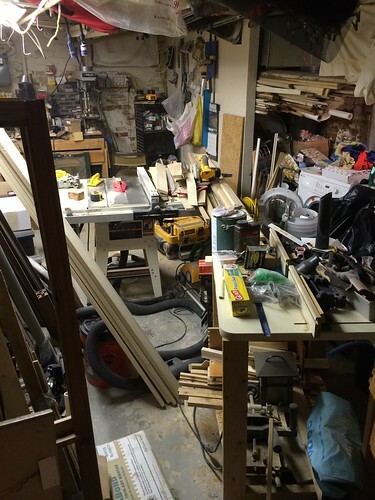 Well, okay, that's a bit of an oversimplification of the process, but it has nothing to do with the complexity, or lack thereof, to cutting our baseboard, but more to do with the cramped nature of our basement woodshop/laundry/storage area. 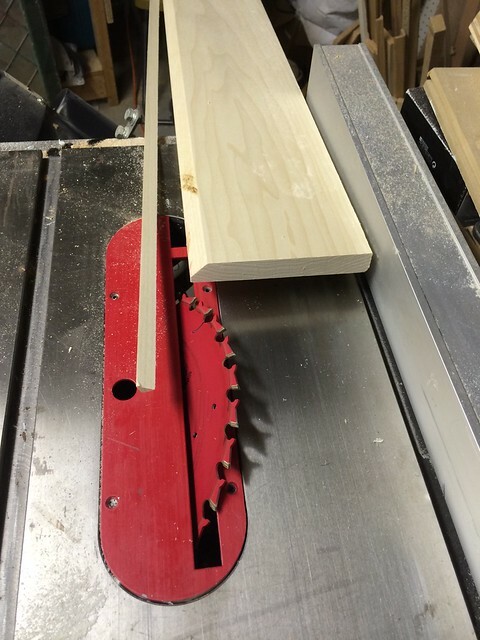 I know we've covered it before, but cutting something that's 10 feet long on the table saw means 10 feet in-feed, 10 feet out-feed, and the blade cutting surface means I need about 21 feet of clearance. That's hard to come by in our basement. At this point I turned to cutting all of the various sections to length for our bathroom. This would allow me to dry fit all of the baseboard and get them to the correct size before actually installing. Then we'd be able to sand, prime, and paint before install, which would reduce the chances of spilling paint all over the new floor. The reason I was able to cut everything ahead of install is because I was coping the joints, rather than mitering them. This allowed me have a little more wiggle room without the need for perfectly matched joints. 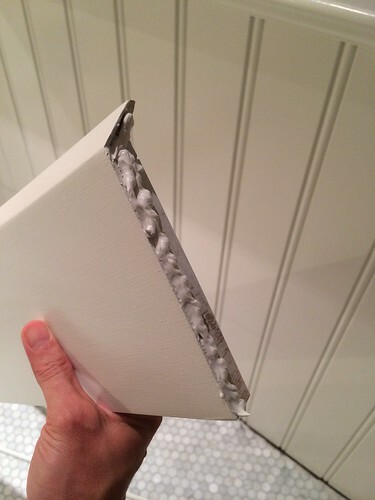 I was even able to do a nice little finish detail on the portion of baseboard that terminates into the door casing. 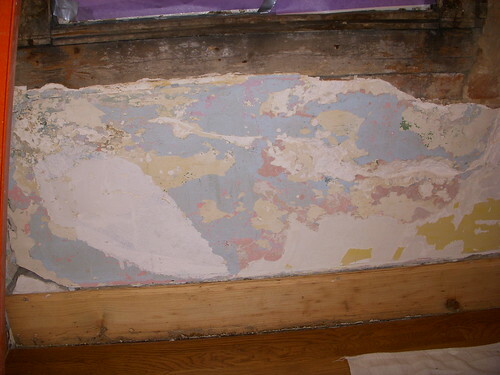 But just because I had cut the baseboard, we were nowhere near done getting it in shape. There were plenty of blade marks on the cut face that had to be resolved and general prep work to be completed. To take care of these issues I took all of my baseboards outside and grabbed our random orbit sander and some 80, 120, and 180 grit sanding discs. 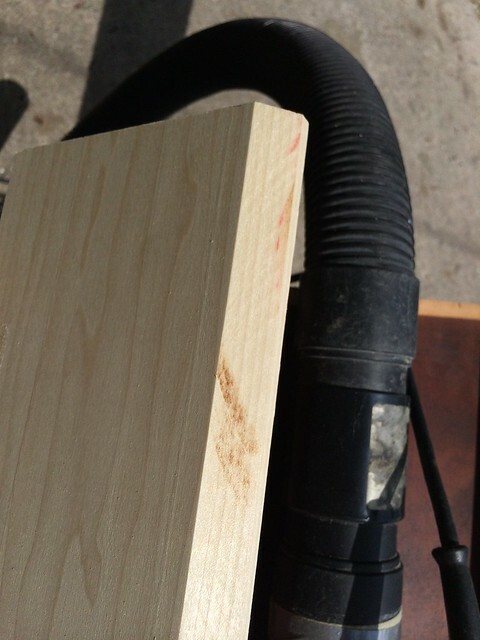 Sanding this is easy, methodical, and boring. The idea here is to take out all of the imperfections with the 80 grit, then use the 120, and finally 180 grit paper to prep the surface for priming. This is no different than any other surface prep you should do. 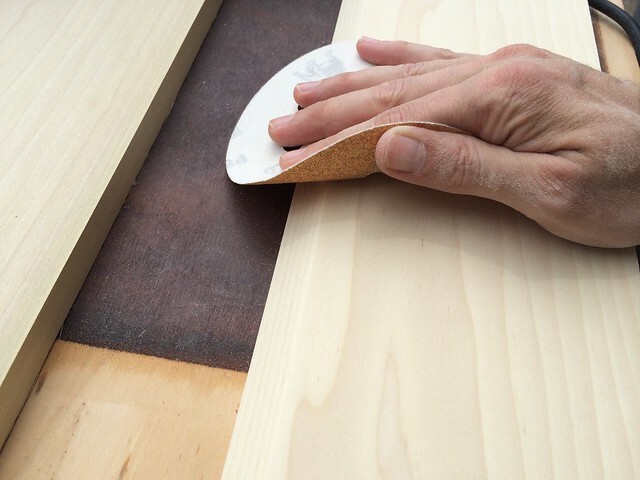 Many builders and finishers don't take the time to sand things this way, and that's why their finished work doesn't look at good as it possibly could and should. But it is a time consuming process. The final step of my process is to hand sand with the 180 grit paper to take off the hard edges of the newly cut case. This gives the new baseboard that slightly worn look and helps with paint adhesion on the transitions. After sanding we moved everything into the backyard for priming and painting. 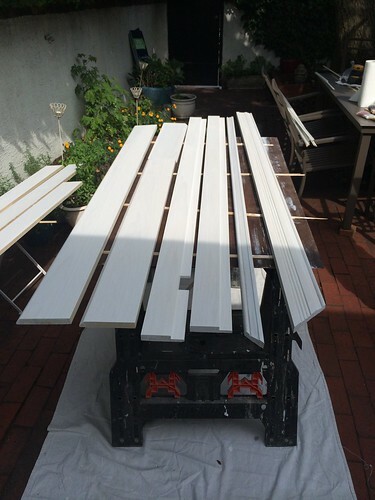 We thinned both the primer and the paint to give the finished coat that smooth brushed surface we're looking for. Wendy took up the painting responsibilities while I continued to sand down the pre-primed shoe moulding out back. Thinning the paint meant Wendy needed to apply one prime coat and three top coats to get initial full coverage, but it results in a much nicer finish and also allows a longer working time without getting into those fuzzed up brush marks. Our entire painting process spanned about four hours start to finish with dry time between coats. I love summer paint drying weather. Since I had pre cut everything, as soon as everything was completely dry (we gave it an overnight dry time), we started to install everything in the room. The coped joints simply needed to be backfilled with caulk prior to nailing, then any excess smoothed out. 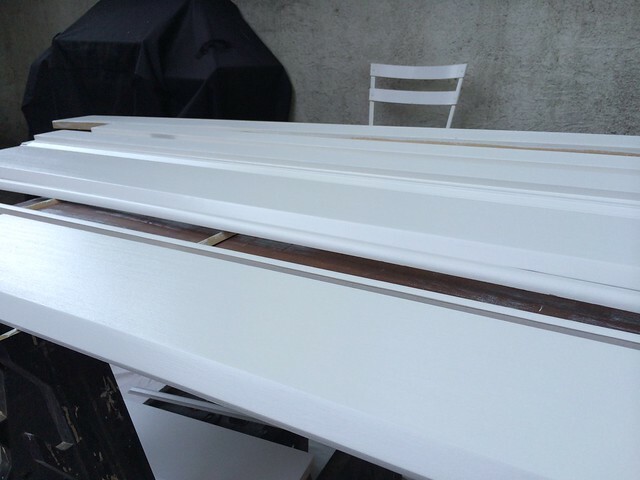 As with all of our projects, we continue to use Big Stretch caulk. We've been using it throughout the house for about eight years now and we've not had a significant failure or split anywhere. One of our big debates and something we've both been obsessing about has been how we'd finish the bead area of our transition from wall to baseboard. 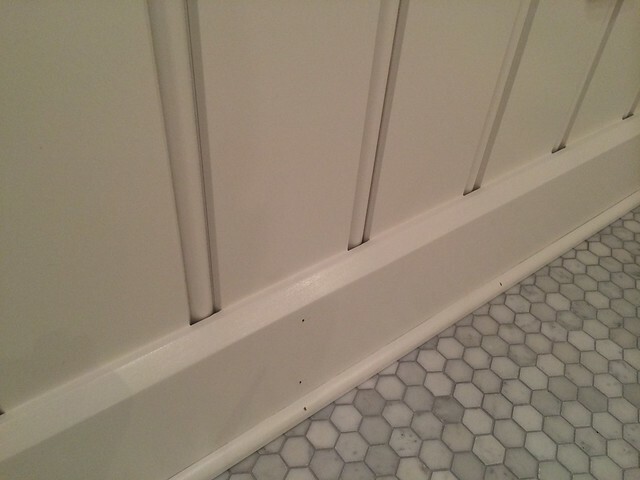 The beads leave gaps since the baseboards mount over the wainscoting, and we weren't sure if we wanted to try to fill them or not. In retrospect we should have installed a flat base piece the beadboard would have terminated into, but that ship sailed long ago, and we didn't know the precise finish height of the floor, so we just went with it. We decided to caulk the flats but leave the beads open, rather than trying to caulk and smooth or do something with wood filler or epoxy. 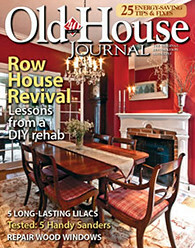 To do this we just applied a bead of caulk between each bead and then carefully smoothed it with a wet finger. I was worried is was going to look strange and unfinished, but after we took a look at it like this we decided that it looks good and we're going to leave it this way. The main thing I realized is that this will actually keep the baseboards cleaner. 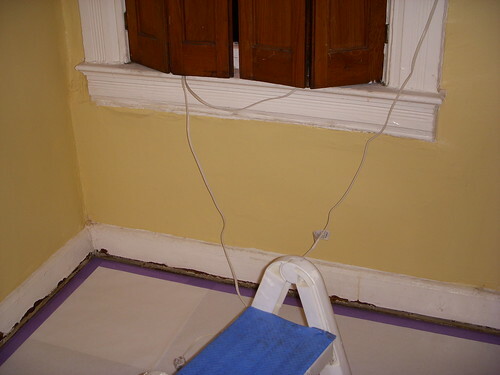 Rather than having dust and dirt accumulate in the cuts it will just fall down behind the baseboard. This will make it easier to clean and maintain in the long term. 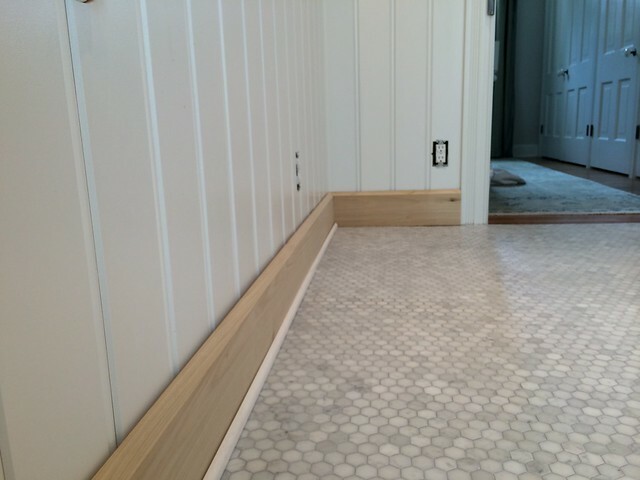 All together our baseboards took about four days from cutting to a completed install. We had to wood fill, sand, and then apply a few more coats of paint to covered the nail holes and caulk, but our finished look ended up looking quite good. Suddenly, the whole room went from looking like a mid process project to something that's actually resembling a bathroom. In a way it's a false sense of accomplishment since there's so much left to do in a bathroom, but we're feeling like we're making some real true progress. The baseboard looks great and I'm eager to see what happens next! Lots of steps are left, that's for sure, but it's surely encouraging to get to this point. I love your understated "It looks quite good" Correction.. It looks bloody Fantastic!! Congratulations. It's going to be amazing when it's done! Can't wait to see the finished product. That's actually from our kitchen butcher's block countertops, so not much we could do to avoid it. But I still hate it. It looks awesome. As does the floor. 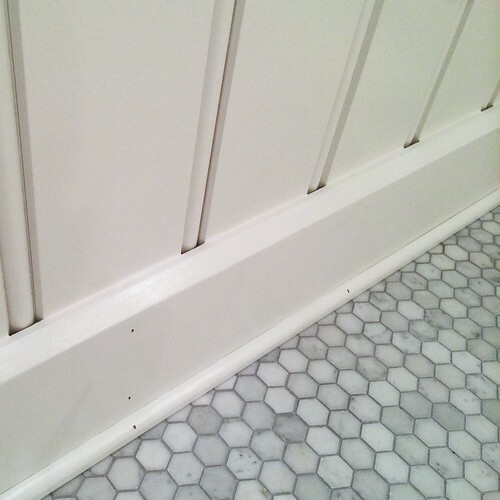 I had a similar issue (gaps/holes in beadboard) in a few places here. One was at the historic crown mouldings against the beadboard ceiling. In the original parts the gaps were only partially filled-in with layers of old paint, so I just matched that look with caulk on the new pieces. The other spot was the beadboard on the exterior front porch. Here, I didn't want water to run down and into the back of the decorative trim, so I filled all the little triangle gaps, and gave them a slight slope so that water would drain away. Both treatments look nice, and I think your decision works just fine, especially since your beads have quite a bit of a recess. I think if we had done a smaller or lower profile bead we would have filled it in. But you're right, this one is just too large. Absolutely makes sense where you did it, especially outside. Water in a bead would be havoc on something like that. Thanks for the tip on the Big Stretch Caulk. We were sheetrocking the closet in the guest room today. I couldn't find anyone who had it in Stock and was open on a Sunday, so I drove about 15 miles to pick up a couple of tubes as a test before buying a case. It was easy to use and we got great results. Like your house, our 1875 house is completely out of plumb, completely out of square, with wavy walls and ceilings. Great product. Thanks! Baseboards and moulding took a lot of adjusting for me, it was so hard to find the right things to match up that would complement the rest of the features of a beautiful home. Then of course was the decision between pressboard ones or the real wood ones, regarding issues like cracking or warping. The completely synthetic ones looked cheap, this is very very well done, it looks beautiful! I'm watching your bathroom project with much interest because the bathroom is the next thing to tackle at THE Bungalow. 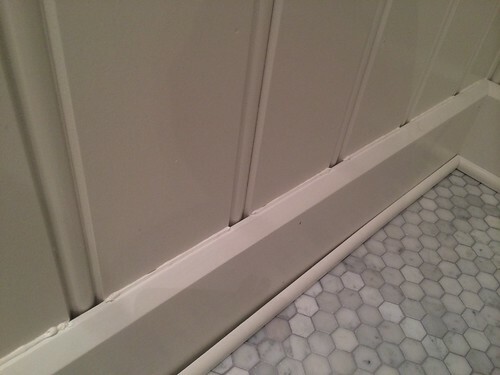 When you say you should have terminated the beadboard into a solid, would that be a separate piece behind the baseboard? 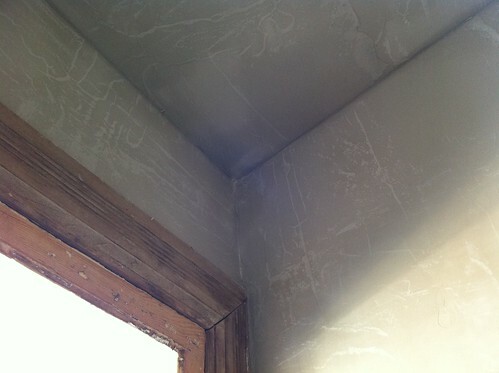 Wouldn't that just move the 'caulk here - yes/no' issue back a bit? The baseboards in my house are crazy high - like 8 inches, with a miter detail similar to yours but done as an individual piece. Even though I plan to paint them in the bathroom, do you think I should use the same profile? There's just shoe molding in there now - on top of nasty stick down tiles. Awesome bathroom--your attention to detail really pays off. Oh, and your basement looks like my sewing room, lol. Creativity = clutter. It is amazing how you create your magic down in that basement! I shudder to think what you could do in a real workshop. The baseboards look great.